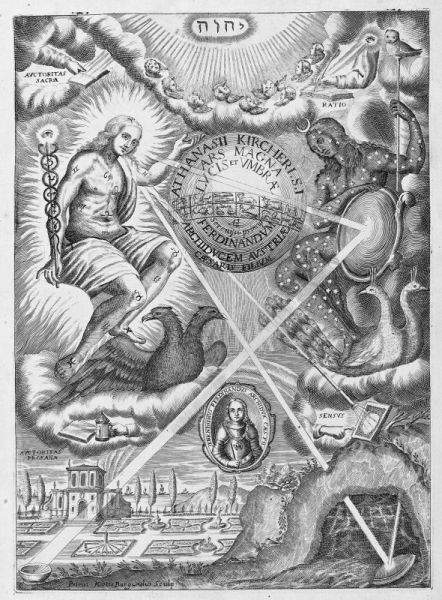 As Kircher's frontispiece to his Ars magna lucis et umbrae has been brought up in a misunderstood manner, I think it best that we look at this work clearly, rather than trying to see it as what it is not. The book whose title translates as "The great art of Light and Shadow" has nothing at all to do with religious matters or the Book of Revelation. Instead it is one of Kircher's scientific works, in which he is exploring in great detail, ideas about the nature of light and shadow. It is full of diagrams about the geometry of light rays and is divided into ten books. Book one - The physiology of light and shadow. Book two - The projection of rays, or radiation. 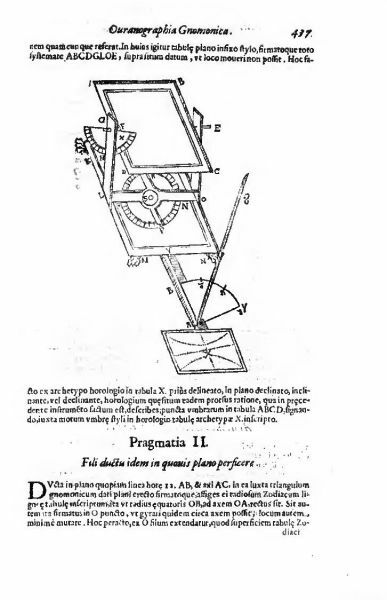 Book three - Of curious gnomic apparatus (sundials, used to show the motions of the heavens). Book four - On various methods for telling time. Book five - Gnomons for describing the heavens. Book six - Various dials, or astrolabes. 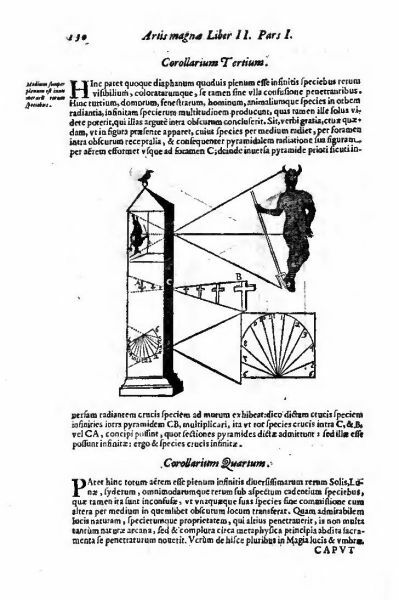 Books seven and eight - The art of anacamptic clocks, using reflections of astronomical light (often from windows within buildings). Book nine - Cosmometrical gnomons, or methods for investigating, the position, magnitude, quantity, height of objects using light rays. Book ten - The magic of light and shadow. The frontispiece engraving shows Apollo (sun or light) and Diana (Moon or the shadow). We see depicted various ways in which the light from the sun is reflected in mirrors, or projected onto a screen. 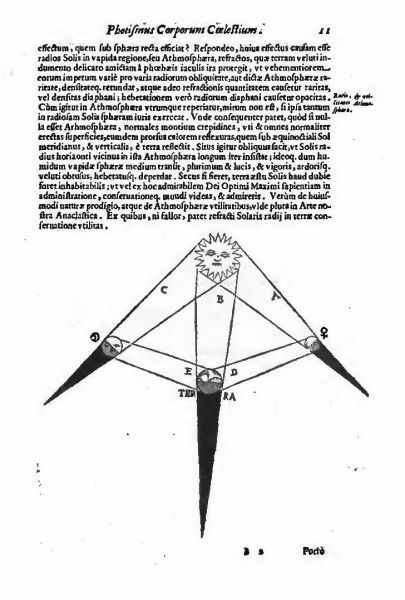 To clear up the confusion here are three typical engravings from the hundred or so in Kircher's book. This will let the material speak for itself rather then being seen through someones modern preconceptions. A third image from the Ars Magna.